Winter is my favorite season. Strange, maybe, but not so surprising given that four months out of every year I live in a place covered in ice and snow. You’ll never hear me complain, though. I love outdoor skating and ski slopes, snowshoe trails and pond hockey rivalries, long walks on snow covered streets too. The more snow we get, the happier I am. I guess it isn’t any wonder I spend as much time skiing each winter as I can. So in celebration of my newest release, Fury of Obsession (Dragonfury Series, book 5), I devised several ways to better my skiing experience. Keeping reading to find out what made the list this year. Forget hiring a helicopter to reach the mountain top. Ask a dragon to fly you there instead. He’ll get you to the summit in seconds, leaving you plenty of cash for après-ski cocktails in the lodge when you reach the bottom. Extra tasty hot chocolate, heated in an instant by the fire-breathing dragon at your side. Avoid perilous trails full of hidden dangerous—and collisions with pesky trees—with him flying in your wake, acting as your spotter. Less than optimal conditions? Invite a frost dragon along. He’ll whip up a snow squall in seconds to ensure you have fresh powder all day long. He’s better than a whole box of HotShots hand warmers. One exhale and your damp, chilly mittens will dry in seconds. So there you have it. My top 5 reasons to share the slopes with a dragon-shifter this winter. For more about me and my books, visit me on Facebook, connect with me on Twitter or Email me. Anytime. I love hearing from you. What do I love the best about romance novels? The happily ever after (HEA), of course! And I know that’s why many romance readers love the genre. But what is it about the HEA that keeps us reading more and more, binge-reading at times? I think it’s an unfailing hope that happily ever after’s really do exist, even if it hasn’t happened for you yet. Also, it’s about the sweeping romance that wraps you up. And if it can begin with a big bang, that makes it all the more appealing. We love things that totally knock us off our feet, am I right? In fact, one of my favorite tropes is the “friends to lovers”, which often requires a world-shaking event to change the status quo. It never gets old! I love that explosive chemistry and the sometimes painful journey to get to that HEA. Not to suggest that a calm, eased-into romance isn’t just as powerful as the explosive kind. But that’s why we read romance, isn’t it? To feel the high emotions and then to feel the satisfaction that even after all the conflict and raw emotions, love is there, waiting. We read romance because love is beautiful and it’s possible under any circumstances. 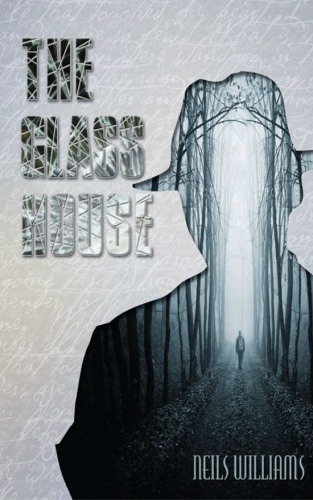 Neils is giving away kindle copies of THE GLASS HOUSE through 2-24-15. Amazon Get yours by clicking on either link. I spent 24 years of my life growing up in St Louis, MO. As a child I had always found solace in creative arts. Whether it was music, drawing or writing, I was doing something creative. In grade school, I would always be caught with a book in my hand and never wanted to put one down. My inspiration for writing drew from reading coming of age novels as a child and as a pre-teen. My teachers had always commended me for reading books with such great expression and bringing characters to life when ever it was my turn to read out loud in class. When I was presented with the opportunity to write short stories for class projects I took the chance and just let my imagination do the running. As a teenager and a young adult I had moved on to writing songs and poems and had taken a break from writing stories. My short poem “I Hate My Life” a humorous story of the average teen’s everyday troubles, had received recognition from a local poem contest. After focusing on other endeavors, I re-visited my niche as a story writer. Everyday life had suddenly become a world of hidden stories for me. On one of my usual walks I had past by a construction worker who had been working on a new house for days. I would imagine that this worker was working against his will and no one realized it. From there I began to take that imagination to paper and written the novel The Glass House. I now live in Las vegas, NV and continues writing my stories of suspense, drama, and mystery. When I’m not writing I spend my time entertaining friends and family, watching my favorite reality tv shows and exploring the world for literary inspiration. I love hearing from my readers and can be emailed at neilswilliams21@gmail.com. Is it too much of a bummer to talk about breakups? What if I promise you that, like all good romance novels, this one has a happy ending? I’m not going to talk about the happy ending, though. I’m going to talk about getting dumped. I’m talking about getting dumped over the phone. Or worse, over text. Or worse, when you fly home from grad school to visit your boyfriend, and fly home with an ex-boyfriend. Or even worse, when you’re supposed to be enjoying some post-coital cuddling…and then he turns on the television. Who said authors are cruel? By day, Sarah Title is a (sort of) mild-mannered librarian in West Virginia, and by night, she writes funny, steamy, comfort reads. Her first book, KENTUCKY HOOME, was released by eKensington in April 2013, and she has released another book, HOME SWEET HOME, and two novellas, “Kentucky Christmas” and “Snowed In,” with eKensington (now Lyrical). She also contributed to the anthology, DELICIOUS, with Lori Foster and Lucy Monroe. Her newest book, TWO FAMILY HOME, will be released by Lyrical Press in August 2015. Find her on the internet, where she talks mostly about her dog: http://www.sarahtitle.com/ Sarah is represented by Louise Fury with the Bent Agency. Cinderella is my favorite fairy tale! I remember being Cinderella for Halloween one year—and I’ve always loved the Disney animated version. Then, when I was a teenager, I saw the film “Somewhere in Time”. I was so enchanted by it that I knew I’d write a retelling of the Cinderella fairy tale someday using a portrait and time-travel. The idea of time travel and the possibility of reincarnation have always fascinated me. I used to be a hair stylist and one day a client I was working on claimed to be a psychic. She told me that I was a passenger on the Titanic in a past life. “It’s why you’re drawn to that era,” she said. Freaky, right?! I don’t know if I bought into the idea one hundred percent, but being a passenger on the Titanic explains my aversion to cold water! While I was writing CINDERELLA AND THE GHOST, I came across some interesting facts about the Cinderella fairy tale. Fact #1: There are hundreds of story versions of Cinderella. Her name in many of these versions are so odd! They include Yeh-Shen, Tattercoats, Cinder Maid, Ashputtel, Katie the Woodencloak, and Vasilissa. Fact #2: There are exactly 47 movie versions of Cinderella. The stand outs for me include Rodgers and Hammerstein’s 1997 television film starring Whitney Houston, “Ever After” with Drew Barrymore, “Ella Enchanted” the wacky musical starring Anne Hathaway, and of course my favorite…the Disney version. On a personal note, I cannot wait for Disney’s live-action film coming out in March!! Fact #3: Two, different literary versions of Cinderella claim to be the original story. Charles Perrault’s “The Little Glass Slipper” and the classic Brothers Grimm tale. Which one do you think is the original? The cover for CINDERELLA AND THE GHOST is my favorite yet!! I think it embodies the Gothic essence of the book—and I’m thrilled a painting is included on it. 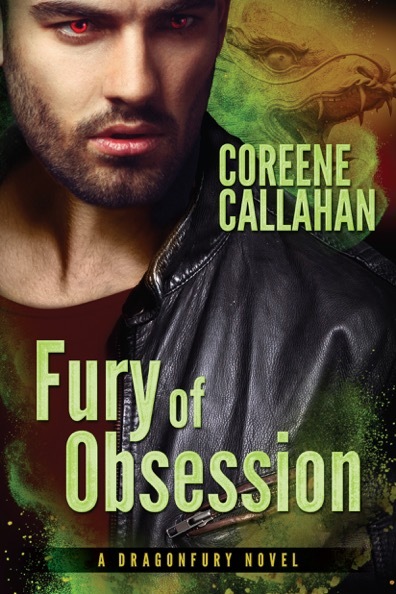 I’ve gotten phenomenal feedback on this cover because readers think the model looks so much like Jean-Daniel Girard. My publisher definitely got Jean-Daniel’s eyes right. Oh my goodness. Is he staring at me? I’m blushing. I’ve set CINDERELLA AND THE GHOST in France since it’s one European country I’ve actually visited. I remember winding through its country roads only to envision Château de Maincy nestled in a wooded area. Maybe I’ll get to visit other countries and gain inspiration for more books. Where have you traveled? Joy Avery is the author of the novels Smoke in the Citi, His Until Sunrise: an Indigo Falls romance, and Cupid’s Error: a novella. 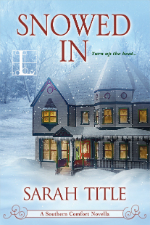 She is a North Carolina native with a passion for penning contemporary romances. When not crafting love stories, she enjoys reading, cake decorating, and spending time with her family—which includes a husband, a child, and two dogs. Cathy Spencer asks . . . What’s the price of “having it all”? You’ll notice that a woman’s worth was determined by her prowess with the household chores back then, but this attitude began to change with the start of the Women’s Liberation Movement in the late 1960’s. The movement celebrated the power of the sisterhood and demanded things like equal pay for equal work and political representation. The feminist movement has made significant strides since 1962. Now women are being told that they can have it all. They can have a powerhouse career, just like men, without having to sacrifice family life. In the last few years, however, there’s been talk about the toll this attitude takes on our emotional and physical well-being. Women who strive to reach the pinnacle of their professions while trying to be perfect moms and wives are becoming exhausted and stressed. The underlying theme of my contemporary romantic comedy, The Dating Do-Over, is women with different attitudes toward what they want from life. The heroine is Viv Nowak, an elementary school teacher with a sympathetic heart and abominable taste in men. She expects an engagement ring when her live-in lover of six years lands a terrific job in a new city. Instead, she gets dumped . . . on Valentine’s Day. Even as a child, Viv had always mothered someone. What she wants most in life is to get married, have babies, and stay home to raise them. Her two best friends are a fiercely independent single mom/teacher, and a real estate banker who puts her career before her love life. The banker thinks that Viv is a feminist throwback, but she’s wrong. If there’s one thing that the feminist movement has done for women, it has given us choices. Maybe not as many as men currently have, because women are still logging more hours at work and at home than their mates. And not that there aren’t consequences for the choices we make, because it takes a load of hard work and stamina to be a success at anything. But if women support the choices their sisters make and acknowledge that there is no one true path to happiness, we empower ourselves and gain a freedom that we’ve never had before. Canadian author Cathy Spencer writes the award-winning Anna Nolan cozy mystery series, as well as regencies and contemporary romance. She loves thinking outside the box and the sheer craftsmanship of writing, and plans to keep doing it until they drag the keyboard out of her cold, dead fingers. Connect with Cathy at her website (http://cmspencer.blogspot.ca), on Facebook (https://www.facebook.com/CathySpencerAuthor), and at her Goodreads Author’s Page (https://www.goodreads.com/author/show/6560999.Cathy_Spencer) where she takes questions from readers. She’d love to hear from you! Cathy’s running a contest to celebrate Valentine’s Day. All you have to do to enter is submit a brief paragraph about the most romantic thing that ever happened to you. The first prize is an autographed romance novel (either The Dating Do-Over or The Affairs of Harriet Walters, Spinster) plus Rheo Thompson Candies Mint Chocolate Smoothies (approximate value $25). The contest finishes this Friday, February 13, so click on this link right away to enter: http://cmspencer.blogspot.ca/2015/01/another-first-prize-for-my-valentines.html. And don’t forget to come back on Valentine’s Day to read the top 3 stories! Do you believe in destiny? Or do you believe that two people meeting and feeling that special spark is just coincidence…or luck…or that crazy thing called lust? Some gals have a punch list of criteria for the perfect mate, others might use a professional matchmaker or an online site, or trust their best friends to hook them up with Mr. Right. It can be exhausting. But then you hear the stories about couples that knew the moment they laid eyes on each other across a crowded room that they knew that was it. They met…and they are still together and blissfully happy. What if you meet your special someone in a less than perfect situation? Do you think if two people are destined for love that it will work out no matter what? Who knows? Maybe. Something like that happens in the sixth book in the Adams Grove series, Barbecue and Bad News. Advice-columnist Savannah Dey is headed back to her hometown for her ex-husband’s wedding. It’s the last place she wants to be, but in order to keep tongues from wagging, she needs to make an appearance. That’s the problem with small towns like her hometown. If people don’t have the facts, they’ll make up a story to fill the gaps. She’d rather make sure they got their information about her straight. Years ago, she’d learned just how hurtful the wrong information can be. That’s what’s kept her from home so long. Just as Savannah gets close to the Carolina border, she gets pulled for going just seven miles over the speed limit. Seriously? And even though the handsome sheriff gives her a break and not a ticket, she holds a grudge. At least that’s what she calls it because every time she’s near him she gets spun up. She’s determined to stay out of his way, but that proves a lot easier said than done. Join Savannah and Sheriff Scott in Adams Grove…where the barbecue isn’t the only thing sizzling. Sheriff Scott Calvin can’t forget the woman who set off his radar, but he’s determined to send her on her way. He’s done making bad choices, and this beautiful city gal is sure to leave Adams Grove once she finishes her story. When she stirs up a hornet’s nest, he’s already falling for her. Will trouble bind them together, or will her secrets tear them apart? Nancy’s giving away an ecopy of Barbecue and Bad News to one (1) lucky commenter. BBQ, a Southern staple & cause for much debate. How do you like your BBQ, mustard or tomato base? Seasoning rub & slow cooked? Sauce or no? Do you have a favorite BBQ joint? Share with us & you’re entered! USA Today bestselling author Nancy Naigle whips up small-town love stories with a dash of suspense and a whole lot of heart. She began her contemporary romance series, Adams Grove, while juggling a successful career in finance and life on a seventy-six-acre goat farm. Now happily retired, she devotes her time to writing, antiquing, cooking, and the occasional spa day with friends. A native of Virginia Beach, she now calls North Carolina home. Barbecue and Bad News is the sixth book in her popular Adams Grove series.